Building on the success of previous partnerships with this globally-renowned property brand (YOO Nordelta and YOO Punta del Este), Trillist and YOO have entered into a strategic partnership to deliver signature YOO properties throughout the United States. Currently, Trillist is developing these YOO properties in Atlanta and South Florida; however, there are already plans for future YOO developments in other major markets throughout the United States. This strategic partnership with is well suited to Trillist’s philosophy of the Art of Development, as YOO is the perfect property brand to align with its vision of forward-thinking design for flourishing urban areas, capturing the attention of the worldly, sophisticated resident. In 1999 John Hitchcox and Philippe Starck found YOO. A revolutionary vision to enhance the way people live, love and play through original design. 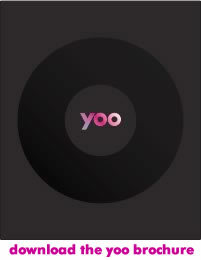 YOO Worldwide has now grown, since its inception in 1999, from a pioneering lifestyle brand, to the world’s largest residential design brand: a revolutionary mix of visionary design talent – Philippe Starck, Marcel Wanders, Jade Jagger, Kelly Hoppen, Steve Leung and YOO Studio – underpinned by branding, marketing and development knowledge. It’s unlike any offering in the industry and it’s why the world’s most visionary developers have partnered with YOO to create 55 residential communities for like-minded people in 40 cities across 27 countries. The diversity of the YOO design offering is part of the philosophy of creating original, design-led communities that respect the way individuals choose to live. ‘YOO inspired by Starck’ under the Creative Directorship of Philippe Starck and ‘YOO Studio’ championed by YOO Head of Design, Mark Davison, were YOO’s first branded design visions. In 2004, Jade Jagger and her design partner Tom Bartlett launched ‘Jade Jagger for YOO’, followed in 2008 by innovative Dutch designer, Marcel Wanders as Creative Director of ‘Wanders & YOO’. In 2009 famed British designer Kelly Hoppen MBE joined YOO to form ‘Kelly Hoppen for YOO’, followed in 2013 by Asian design powerhouse Steve Leung joining as Creative Director of ‘Steve Leung & YOO’. Together, the YOO Studio and Creative Directors create communities that are enhanced through quality, original design. It is an approach that also brings added value to developers and resellers, demonstrated through the sales velocity and premiums achieved by YOO projects – “a nice side effect in the process of creating better communities” says YOO Chairman, John Hitchcox. A recent report by Knight Frank on the value of branded residences globally, certified that branded residences add on average 31% value uplift compared to non-branded schemes. The first ‘YOO’ designed rental scheme, Dwell95 in New York was 50% occupied prior to launching and YOO Toronto was 66% sold within five hours of launching. Downtown, YOO’s first residential project in New York, was 90% sold within 21 days of the launch and YOO Punta Del Este was 85% sold out after one month of launch. The first YOO hotel project, JIA, made the ‘Conde Nast Traveler’s’ Hotel Hotlist, and was voted one of the top five hotels in Greater China by ‘The Independent’. Due to the success of YOO designed hotels, YOO recently launched YOO Hotels: a full-circle design, branding and operations offering for developers, in two ground-breaking visions: the unabated luxury of YOO Collection, and the affordable luxury of YOO2. YOO Hotels creates design-led experiences where objectives are based on meeting the desires for convenience, customized service and personal satisfaction to create unique hotel experiences based on Human Luxury™. Hitchcox has equipped YOO with a strong global identity, creating an international lifestyle brand synonymous with original design and exceptional quality around the globe. The global demand from design aware citizens internationally (“The Smart Tribe” according to Philippe Starck) led YOO to publish their first book ‘Interiors by YOO’, which has been translated in four languages and sold over 30,000 copies internationally. Hitchcox and Starck have created a winning formula that influences the way we live, bringing the otherwise unreachable designs of Starck, Jagger, Wanders, Hoppen and Hempel, to new homes and hotels around the globe. YOO has led the way in branded hotel and residential design projects which are now springing up everywhere as fashion houses and major brands adopt strategies to capitalize on this growing market, fuelled by the design savvy consumer.